Home / Uncategorized / 14 Days Left Until Christmas! 14 Days Left Until Christmas! 14 Days Left Until Christmas! Can Premier Rental Purchase help you get those last minute details for your home? 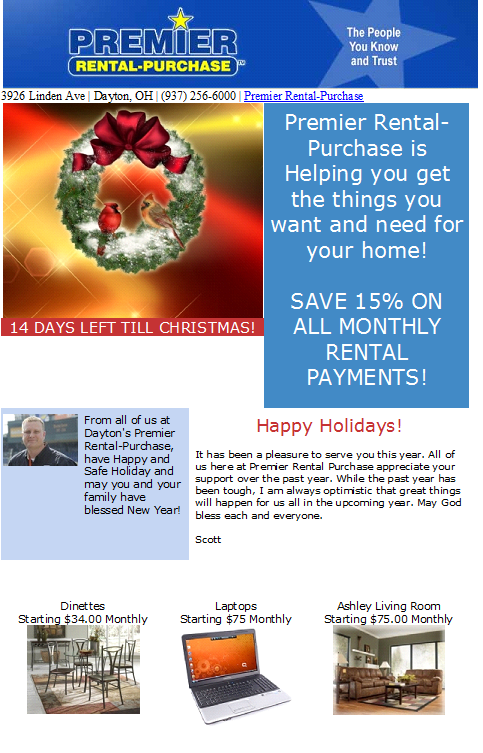 Next post: Dayton Premier Rental Purchase: 14 Days Left Until Christmas!